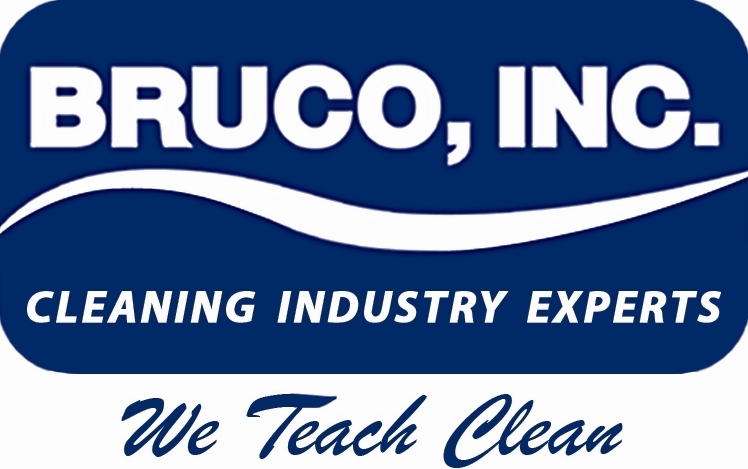 BRUCO University | "We Teach Clean"
BRUCO University is the core of our business. We work hard to train our representatives so they can help you assess your processes and equipment to optimize your cleaning staff’s efficiency. We also offer training for your staff to keep them up to date on new techniques and innovations in the industry. It may be a good time to schedule a training at your facility. Consult with our Director of Education, Brian Waddell, to customize a session to address areas of interest. We also have a training room at our Billings office. Proper training not only provides the best outcome for your facility, but avoids costly repairs or replacement of surfaces due to errors in use and application. Below is a video of Tony Sandau training a group of custodians on Carpet Care Basics. It’s about 45 minutes long which would be perfect to view over a brown bag lunch or pizza with your team. BRUCO Inc. YouTube Channel. In particular, there is a playlist titled SSS Floorcare Procedures with 8 training videos. Here is a six minute video covering “Applying Floor Finish and Sealer”. All of the videos in this series are under seven minutes in length. BRUCO Brand Ultra Coat High Traffic Floor Finish. This special formula is designed to extend your recoat and stripping cycles. It’s a high solids (24.5%) low odor finish. We’ve also introduced a new stripper to our line of BRUCO products. BRUCO Ultra EZ-Off Power Stripper is a concentrated formula that does the job with one application. To schedule a training for your staff on site or at the BRUCO University training room, please contact Brian Waddell at 406-839-4724 or email him at brucoeducation@gmail.com. New Innovation in Floor Care! Introducing the incredibly versatile i-mop! Our customers are raving about how easy it is to use in kitchen areas. Also the portability of the unit makes it great for parking garage landing areas outside of the elevators. New Hard Floor Care Innovations! 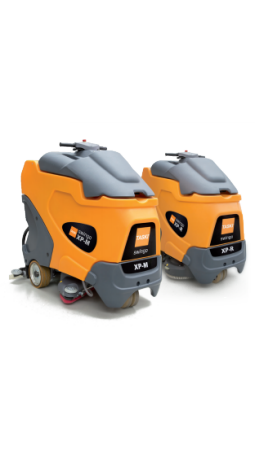 Effectiveness: Balanced weight distribution and twin counter-rotating brushes remove more surface soil than traditional mop and bucket “cleaning”. Efficiency: Increase productivity rates versus manual mopping, in addition to reducing chemical and water usage with the i-mop XL’s patented Fluid Management Systems. Ergonomics and personal safety: i-mop XL’s unique ergonomic design helps reduce slip and fall hazards and foot traffic disruption vs. a traditional mop and bucket. ProTeam, Inc. recently introduced the enhanced GoFreeÂ® Flex Pro cordless backpack vacuum. The upgraded design provides a longer battery run-time – 75 minutes! In a facility that vacuums 10,000 square feet per day, you would save $9,926 over the course of one year based on 264 working days between an upright and a corded backpack and would save $11,695 between an upright and a battery backpack. Backpack vacuums pay for themselves in just a few months. Check out all the features in this short four minute video. We have two ProTeamÂ® GoFreeÂ® Pro BackPack Vacuums with the 60 minute battery run-time left on our floor. We’re offering a discounted price of $1,199 to make room for the new models! The Andersen Company has introduced a resilient solution to extend the life of your valuable gym floors during events. These 10.7 square foot stain resistant carpet tiles are a long lasting alternative to using tarp. Spills are easy to handle. Simply use an spot extractor or power wash the spot out of the affected tile. Watch this 2:26 minute video for more! Click here to get a quote for your Gym Floor! To get a quote or to schedule an onsite demo for equipment that you’re interested in, please email us, contact your local BRUCO rep or give us a call at 800-652-1020. A good matting system is the cheapest custodian that you will ever put to work. Wet, cold, snow and MUD will visit soon! Is it time to replace your mats? Special Fall Pricing! 15% off from September 1st to October 31st! This video is less than four minutes long and will demonstrate how to keep the dirt and salt at the door instead of throughout your building and HVAC system. Invite your BRUCO rep in to assess your matting needs before the snow flies! 15% off all In Stock Taski Equipment! Round disc cleaning for customers requiring intensive heavy duty cleaning. 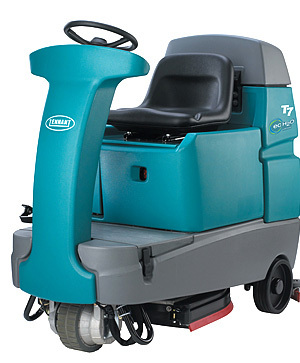 TASKI procarpet 45 has been designed with the reliability found on all our floor care machines. TASKI has developed this machine using our expertise in vacuum pick-up and chemical application to design a high performance carpet cleaning with excellent results. TASKI procarpet 45 allows users to select the cleaning application that best fits their needs based on turnaround time and soil levels. The machine can be set-up for deep cleaning extraction for heavy soils or restorative type cleaning application and also be set-up for interim cleaning using our specifically formulated encapsulation chemical. The new TASKI swingo 2100μicro offers unrivalled performance, benefiting from the combination of speed, small footprint, agility and large tank size. A totally new design of offset cleaning function allows reduction of manual work and seamless cleaning in large and small areas with the highest possible cleaning result and supporting a low total cost of ownership. TASKI swingo 2100µicro combines great overview, ergonomic working and high safety standards, benefiting from a protective tank design, active sitting concept and many other safety features. GHS Training: Is Your Facility Compliant? June 1st, 2016 – Employers must update all labeling and hazard communication program as necessary. All manufacturers, distributors, and facilities should be compliant. The Hazard Communication Standard (HCS) is now aligned with the Globally Harmonized System of Classification and Labeling of Chemicals (GHS). This update to the Hazard Communication Standard (HCS) will provide a common and coherent approach to classifying chemicals and communicating hazard information on labels and safety data sheets. Contact Brian Waddell, BRUCO University’s Director of Education to make arrangements to train your staff onsite or in our training center in Billings. BRUCO works hard to keep you up to date with the latest advances in floor equipment. 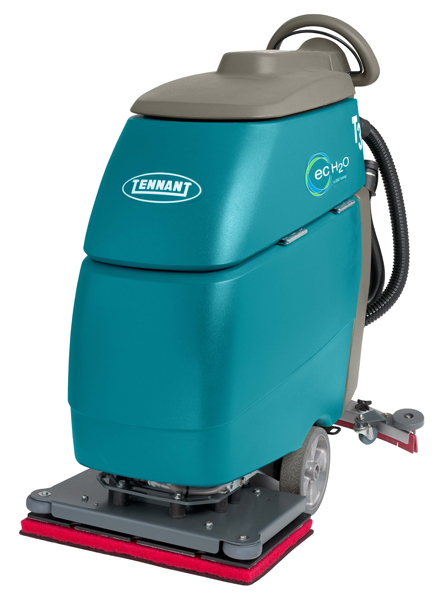 Tennant has recently improved the technology of its T3 scrubber and renamed it the T300 and T300e. This machine is incredibly versatile and is available with new ec-H20 NanoClean technology. The standard process of stripping a floor takes its toll physically on your facility maintenance team. You must use stripper chemicals, 3-4 machines to get the finish off the floor and all the particulate cleaned up. With the new T300 using the square orbital head, you can take a few coats of finish off in one pass without any chemicals while leaving no residue behind. The square head enables you to get into corners and up to the baseboards. Extending the pad beyond the head allows stripping the baseboards. Act fast and take advantage of our Tennant Sale running through July 15th! A cordless backpack vacuum may seem like a luxury until you work the numbers. Studies have shown that quality battery backpack vacuums, like the GoFree Flex Pro designed by ProTeam, clean up to 18,000 sq. ft. per hour. In a facility that vacuums 10,000 square feet per day, you would save $9,926 over the course of one year based on 264 working days between an upright and a corded backpack and would save $11,695 between an upright and a battery backpack. Backpack vacuums pay for themselves in a few months. The cordless backpack has many advantages and is a perfect choice for healthcare facilities, schools and offices. Check out this quick video to see all the reasons why. Call your BRUCO rep and we’ll do an ROI calculation for you to determine how many months it would take for this huge time saver to pay for itself! Carpet is one of the bigger investments in your facility. It provides a warmer feel to the environment, sound reduction and great design elements. The care required to extend the life of this investment is significant. However, it can be the most neglected floor surface in your building. Why? Because spills and dirt are obvious on a hard floor surface while carpeting absorbs and hides them. This means that a strict carpet maintenance program must be followed. Check out some money saving strategies to maintain your carpet and free up man hours. 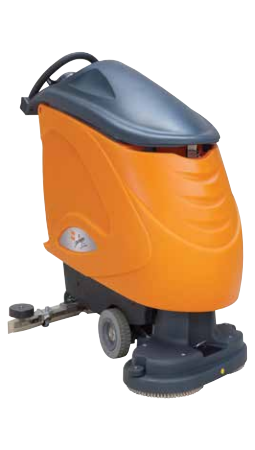 Many facilities’ daily carpet care equipment consists of upright vacuums or backpack vacs. 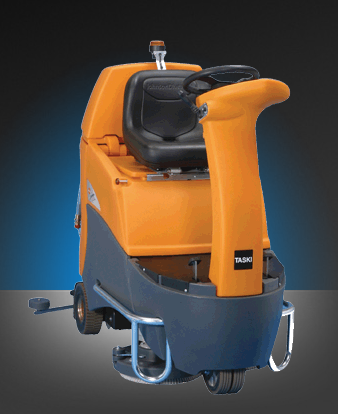 Have you considered integrating a riding sweeper into your daily carpet care program? Here is a comparison of integrating a riding battery powered sweeper for large carpeted areas or long carpeted hallways. 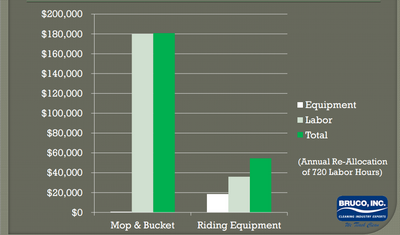 If you were to use the riding sweeper over the backpack vacuum, you would save 6.48 minutes per 1,000 square feet. If you had 10,000 square feet of carpet, that would translate to 64.8 minutes per day and let’s say your facility operates 365 days per year, that’s 394.2 man hours per year that could be spent elsewhere in maintaining the facility. If you’re currently using upright vacuums for large carpeted areas, you would save 18.01 minutes per 1,000 square feet. With 10,000 square feet of carpet (365 days), that translates to 3 hours per day or 1,095.6 hours per year. A forty hour per week employee working 50 weeks per year puts in 2000 hours per year (over half a year of work saved just on carpet care). At a loaded cost of $15 per hour, that’s a $16,434 savings. 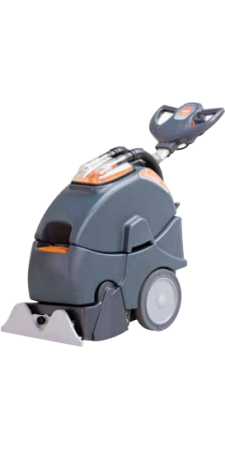 A Tennant Model 6100 38″ Battery Riding Sweeper retails at $16,112. Depending on the square feet of open carpet space in your facility, do the math and find out how many years it would take to get a return on your investment. Or just call your BRUCO rep and we’ll do it for you! For interim cleaning and restorative care, we recommend the Tennant 1610 Dual Technology Carpet Cleaner with Ready Space. 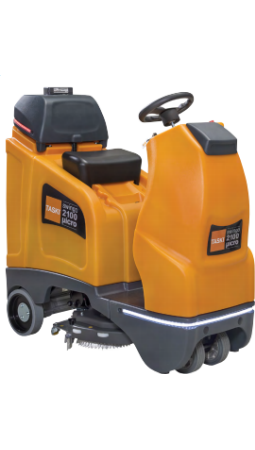 The 1610 allows you to easily clean high traffic areas more often so that you’ll need to extract less often. Some facilities use the 1610 in Ready Space mode during normal business hours because carpeting is normally dry in less than 30 minutes. This video shows you how the soil transfer rollers make this an outstanding piece of equipment. 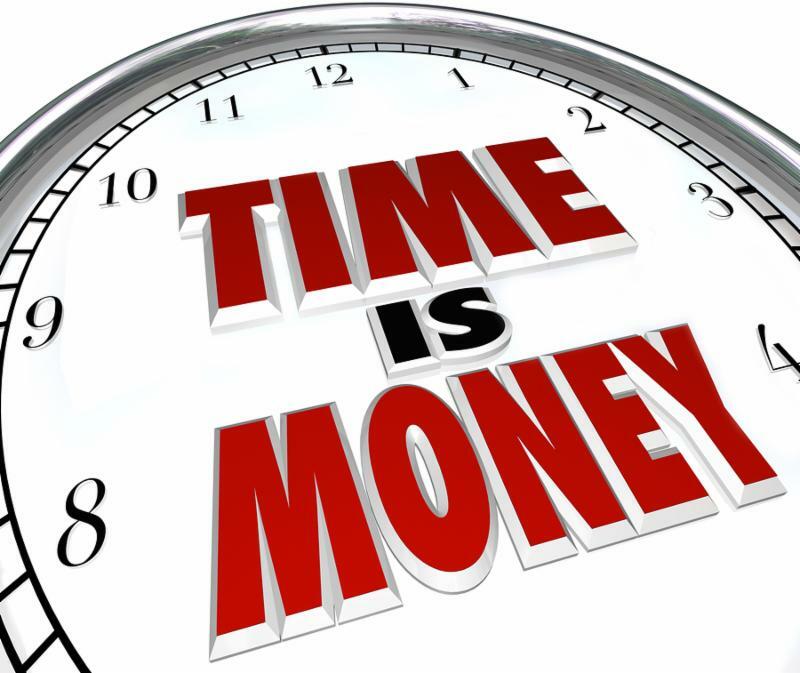 Time is money. 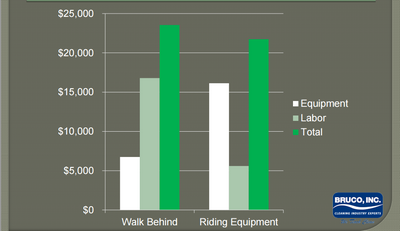 Money spent on equipment is time saved and injuries avoided. Provide cleaner, safer and more productive environments by hiring some equipment! Check out the Tennant discounts below through July 31st! If you’d like a quote, please contact us online or give us a call at 800.652.1020! Act Now – Special Offer Expires July 31st!!! In the first part of this series we talked about some quick ROI’s when investing in autoscrubbers. 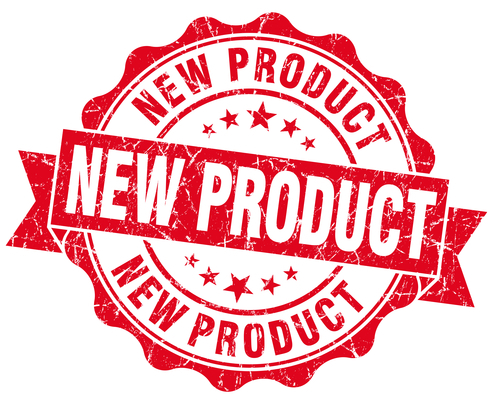 This month, I’d like to take a look at a company whose new innovations are BIG time savers! KaiVac offers fantastic solutions to BIG problems…like equipment that allows touchless bathroom cleaning. Who wouldn’t want to eliminate the need to kneel down and reach around toilets all day to disinfect them? Consider saving tons of time and lowering your risk of back injuries by Hiring Some Equipment in the KaiVac line of products. I must confess, I’ve cleaned my share of toilets, and when I saw this machine in action, I thought it was the best thing since sliced bread. KaiVac is showing us a better way to clean than sloshing around dirty water with mops, hauling buckets and wrapping ourselves around toilets. KaiVac just came out with their newest innovation to clean large areas quickly. We’ve all got budgets to manage and it’s that time of year for schools and other businesses. To help you when considering where to allocate those dollars I’m going to give you an example of a return on your investment of a riding scrubber over mopping by hand or a walk behind scrubber. Even in the short term, you’ll see a savings but when you look at the 10 year return, the results are dramatic. For example, one of the school districts we work with were using a mop and bucket to clean 22,200 square feet of corridors including the cafeteria and gymnasium. 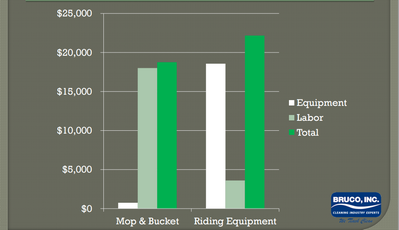 When comparing the cost of equipment and labor in the first year the difference between the two solutions was $3,500 higher than the mop and bucket to use the riding scrubber. However, over the next ten years, this school saved $125,000 by automating the solution. That’s $12,500 per year. That’s obviously a big savings going from mop and bucket to riding scrubber, not to mention taking the physical strain off of the custodial staff. What if you’re using a walk behind scrubber versus a riding scrubber? At a retirement center in Wyoming we did an analysis. They spend 4 hours per day cleaning floors with the walk behind compared to 1.33 hours per day with a riding scrubber. Based on a loaded hourly wage of $15 per hour, they saved $2,000 in the first year. Over the next ten years, they will save $112,050. This enables them to reallocate 747 labor hours to take care of other more critical areas of concern such as preventing hospital acquired infections by cleaning highly touched objects more frequently. If you’d like our staff to work with you on putting numbers around upgrading your processes in order to reallocate labor hours for your facility, please contact us online or give us a call at 800.652.1020! In the last issue, we talked about what BRUCO is doing to preserve the balance of nature that we all have the privilege to enjoy in the beautiful wilderness areas of Montana and Wyoming. These beads are taken to the Revolution Bag plant where it’s converted into blown film to make EPA compliant Revolution trash bags. John Brown University in Arkansas has an enrollment of about 2000 students which is a little smaller than Montana Tech. They saved $5,000 annually by making the switch to Revolution Bags from their previous bag contract. Just recently, Kum & Go, the fifth largest privately held convenience store chain was highlighted in this July 14th press release. BRUCO is proud to have Revolution Bags as part of our line up of environmentally friendly companies. Contact us by email or call our office at 800.652.1020 for a list of sizes and pricing. ‘Tis the season that we all get closed up in building together and increase our risk of bringing home something more than the bacon. Dwell times are very important. School desks can have up to 400 times the amount of bacteria as a toilet seat. Be aware of the dwell times and don’t move too quickly through your cleaning tasks as it may just cancel out what your intention was. The disinfectant has to have time to work. This can be as low as 2 minutes if using a disinfectant like Perisept. Consider what happens when you clean a surface by spraying and wiping. First of all, you won’t get complete coverage and the misting of chemicals is not something you want to breathe. Take a look at this example of using pretreated microfiber in a patient room. This method evenly distributes the disinfectant and ensures adequate dwell time. Cleaning a Patient Room with Microfiber — BRUCO, Inc. This is much quicker since you’re not dealing with a mop and bucket for the floors and you’re not spraying and wiping. It cuts out several steps of the cleaning process which means you’ll have more time to go after more of those highly touched objects throughout your facility. Supply your staff with disinfectant wipes to clean their desks, phone, keyboards and mice at the end of each day since desk areas aren’t usually touched by the cleaning staff. Everyone has to work together to keep infections at bay. You can’t solely rely on the cleaning staff to cover everything. Every department should have best practices that they follow to help carry the load. They should also be encouraged to stay home if they are sick.